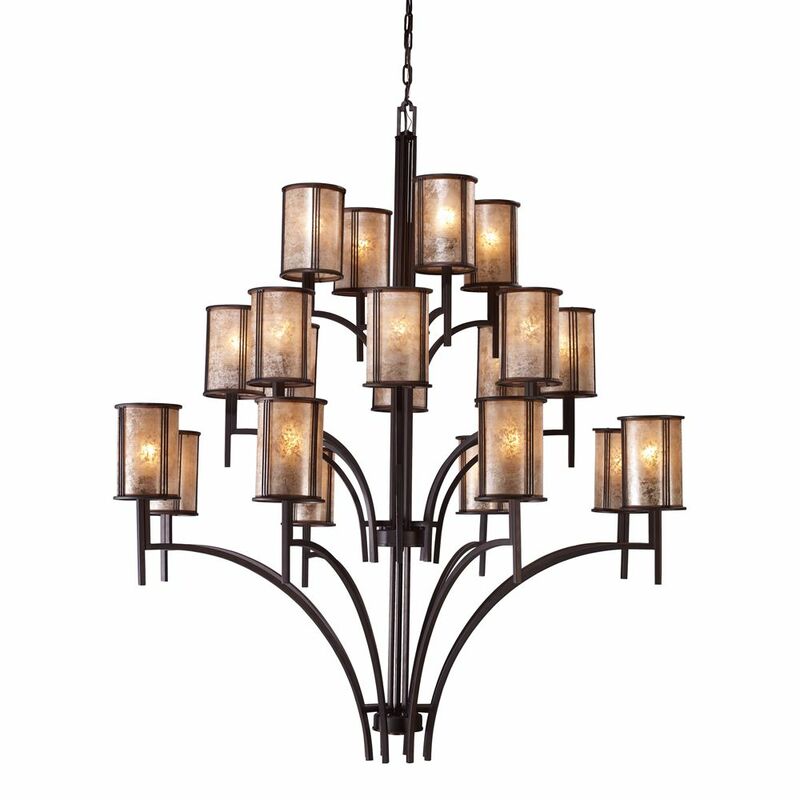 20-Light Ceiling Mount Aged Bronze Chandelier Emulates Simplicity Of Form And Clean Lines Inspired By The Mission Period. This Was A Time For Craftsmen To Purify Over-Excessive Ornamentation Revealing The Forms That Lie Beneath. The Warmth Of Tan Mica Shades And An Aged Bronze Finish Adds To Its Character.